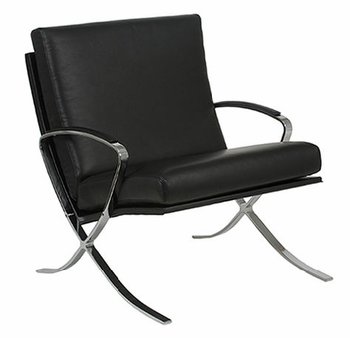 - Chromed steel frame with leather cushions. Chromed steel armrests and base. 1 piece per box. Notes: The price is for Pietro Lounge.